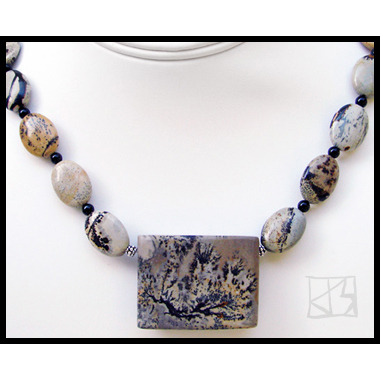 Nature herself painted this earthy landscape for this one-of-a-kind piece! 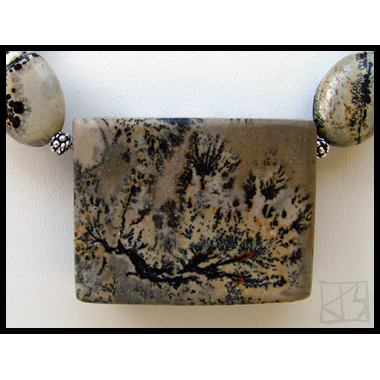 The patterns on both sides of this spectacular focal stone (41mm x 31mm) remind me of the Manzanita brush common to the Sierra Nevada where I lived for over a decade. 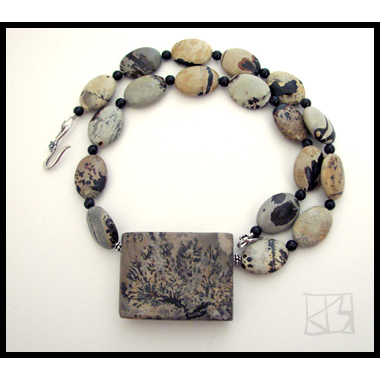 The patterns, called dendrites, create extraordinary visual landscapes... art for the finding! Smooth ovals (18mm x 13mm) carved from similar landscape stone � hand chosen from six different strands to perfectly enhance the fabulous centerpiece � are separated by small genuine onyx beads. 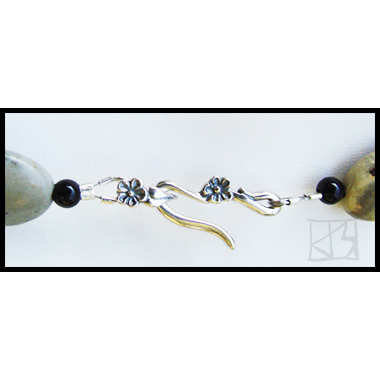 Bali .925 silver beads and clasps finish this organic piece.